GIANT PANDAS coming to the Toronto Zoo this May. 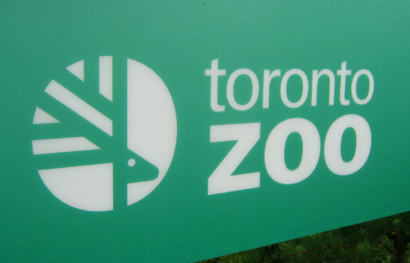 With summer around the corner, I’ve been trying to convince my wife that we should take a family trip to the Toronto Zoo. Our oldest daughter Amina is 21 months old which is old enough to enjoy looking at the animals from her picture books. Last year we went to African Lion Safari when she was under one but at the time she didn’t really understand what was going on. It’ll be interesting to see what her reactions to real live animals will be like this time. This summer the Toronto Zoo has an exhibit featuring two new Pandas: Er Shun and Da Mao and their exhibit opens May 18. Did you know that Pandas are carnivores? Most people think they only eat Bamboo, but their diet consists of 90% bamboo and 10% other food items including meat like birds and rodents. These two pandas won’t be short on bamboo since FedEx is delivering 600-900 kilograms from the Memphis Zoo in the United States two to three times per week, to keep them well fed. 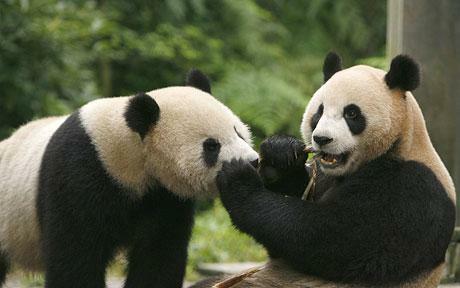 Pandas are very picky eaters. They will take a stalk of bamboo, smell it, and decide if they like it or not. If it doesn’t appeal to them, they will just toss it. I bet Amina wishes she could do that when we feed her blended Broccoli. The pandas are only 1 of 500 species and there are over 5000 animals at the Toronto Zoo, being one of the biggest zoos in the world. We are pretty lucky to have it right in our backyard given that Pandas are an endangered species. To find out more about the Toronto Zoo and its pandas check out this link.